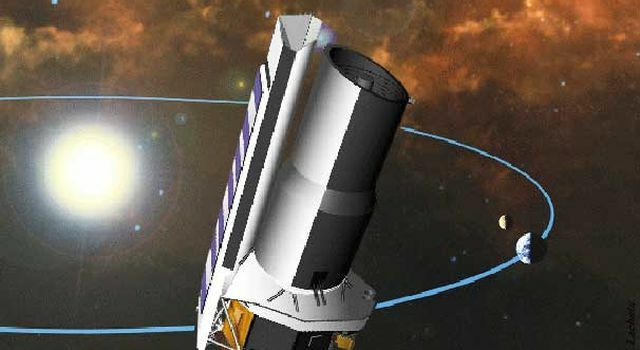 Immediately after the Space Infrared Telescope Facility launches in January 2003, mission planners anticipate a four-hour communication gap when their tracking system won't be able to "talk to" the observatory. This could be a nerve-wracking time for those who've worked so hard on the mission, an infrared telescope that will study the early universe, old galaxies and forming stars, and detect dust disks around stars where planets may be forming. The solution to their problem lies within the Council for Scientific and Industrial Research Satellite Applications Center, a satellite tracking facility in South Africa formerly used by NASA. 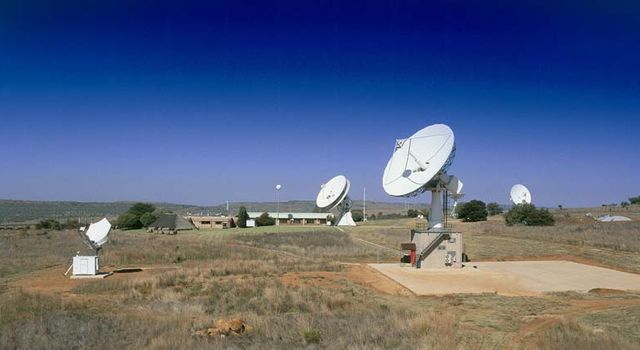 Located in Hartebeesthoek, 60 kilometers (37 miles) north of Johannesburg, the Satellite Applications Center will track the Space Infrared Telescope Facility for up to 4 hours, or until the Deep Space Network's tracking station near Madrid, Spain, acquires a signal. 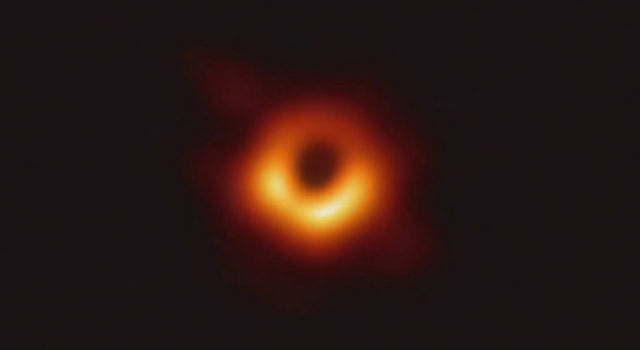 "No one wants to sit on pins and needles for four hours," said Pat Beyer, telecommunications and mission systems manager for the Space Infrared Telescope Facility at JPL. "So we contracted with Hartebeesthoek, which has a smaller antenna that can't track in deep space as well, to fill in the gap." The Deep Space Network is an international network of antennas that supports interplanetary spacecraft missions. The network has three tracking stations at Goldstone, Calif., in the Mojave desert; at Robledo de Chavela, Spain, 60 kilometers (37 miles) west of Madrid; and near the Tidbinbilla Nature Reserve, 40 kilometers (25 miles) southwest of Canberra, Australia. 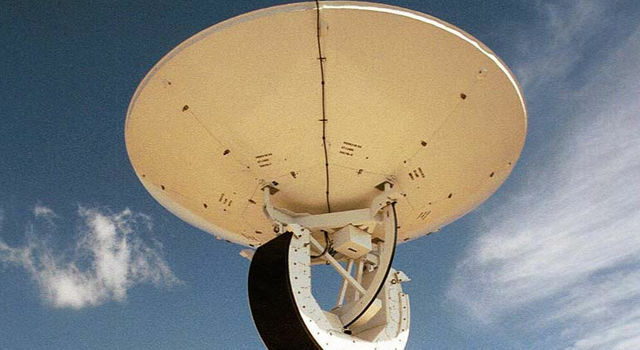 The Satellite Applications Center in South Africa uses smaller antennas than the Deep Space Network. 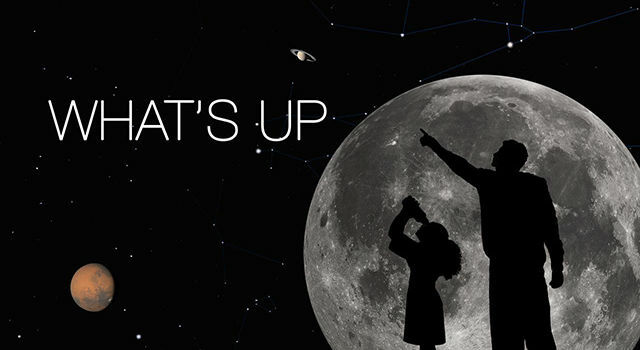 The larger the antenna, the better the ability to track objects in deep space. The Space Infrared Telescope Facility will use the South African facility's 5.4-meter (18-foot) and 12-meter (39-foot) antennas. The Deep Space Network antennas being used measure 34 and 70 meters (111 and 230 feet). Deep Space Network facilities can track spacecraft traveling more than 16 billion kilometers (10 billion miles) from Earth. The Deep Space Network tracking facilities use antennas that continuously compensate for the earth's rotation. Once a spacecraft reaches space, it does not rotate with earth, but at its own pace. A spacecraft is only in the "line of sight" with one facility for a maximum of 10 to 12 hours a day before being handed off to another facility. 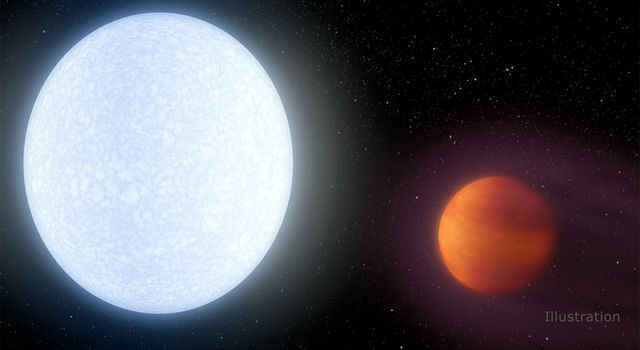 "The Space Infrared Telescope Facility is a different animal than we've dealt with in the past because it's an observatory, not an orbiting planetary mission," Beyer said. Normally, when a spacecraft launches, it travels through the sky in a southeast direction, from Cape Canaveral, Fla., to Canberra. But the Space Infrared Telescope Facility will move so slowly in this direction that the rotation of the earth will overtake it. Its resulting course will veer to the west before reaching Australia. 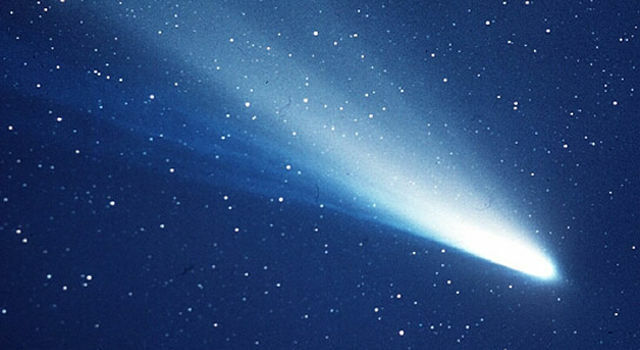 The Madrid tracking station will not be able to track the observatory until after four hours have elapsed. The Space Infared Telescope Facility is the first new mission of NASA's Origins Program, which strives to answer the questions: Where did we come from? Are we alone? 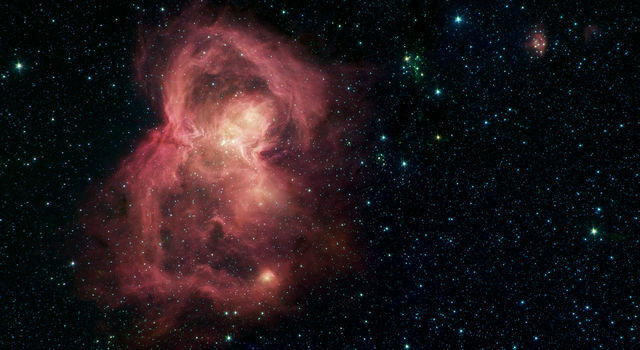 It is also the fourth and last of NASA's Great Observatories, a program that also includes the Hubble Space Telescope, the Chandra X-Ray Observatory and the Compton Gamma Ray Observatory. JPL manages the Space Infrared Telescope Facility for NASA. The Satellite Applications Center has been managed by South Africa's Council for Scientific and Industrial Research since 1958. From 1960 to 1975, it was known as the "Joburg Minitrack Station" and became part of NASA's worldwide scientific satellite tracking and telemetry network, operated by NASA's Goddard Space Flight Center in Greenbelt, Md. It then became part of the French National Space Agency (le Centre National d'Études Spatiales) worldwide tracking network. Since 1989, it has been a program within the South African Council for Scientific and Industrial Research's Information, Communications and Technology division.